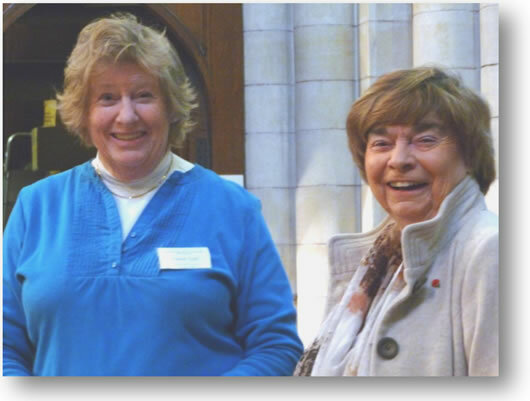 The Arts Society Woking's Church Recording leader, Past Chairman Janet Gill (on the left), shares some fun with the Church Recording Area Rep for West Surrey, Barbara Naylor. 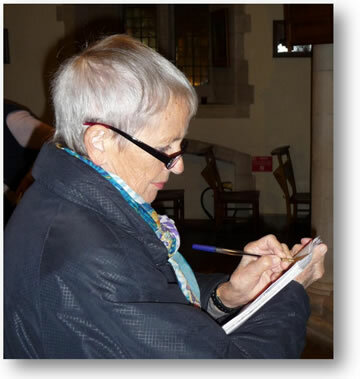 The society has an active group of Church Recorders: volunteers who make records of the contents of our national churches, thereby promoting the recognition and preservation of the rich artistic heritage to be found in places of worship of all religions. St Mary the Virgin, Worplesdon. St Michael and All Angels, Pirbright (Joint project with The Arts Society Mayford). All Saints, Woodham. (Joint project with The Arts Society Mayford). 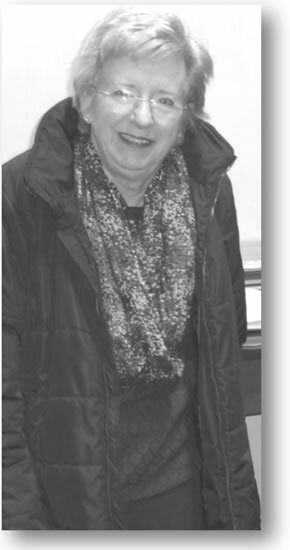 If you are interested come to the church between 10 and 12 on the 4th Monday of the month to see the work or contact Janet Gill on 01483 232 039 or jgill0422@aol.com . Mayford Member, Sally Shaw (right), works with Patsy Anders on “metalwork”. She was wrapped up on a day when, as can sometimes happen, it was fairly chilly in the Church. 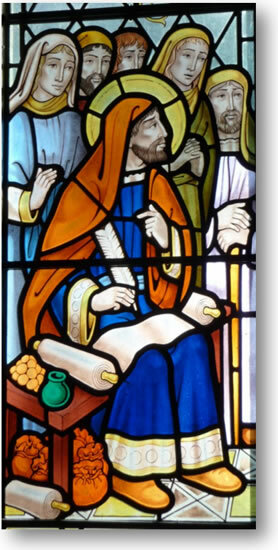 This beautiful stained glass window depiction of St Matthew was gifted by Marilyn Gillard in memory of her husband, Wyndham. 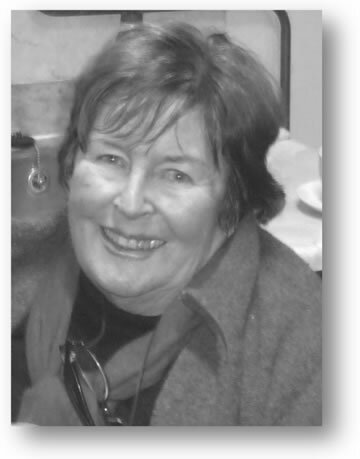 Marilyn, a former committee member, is in charge of coffee. 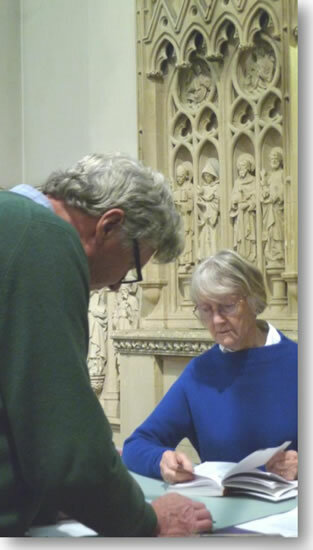 John Gill and Barbara Britten (left) were working on the stone reredos behind the main altar. 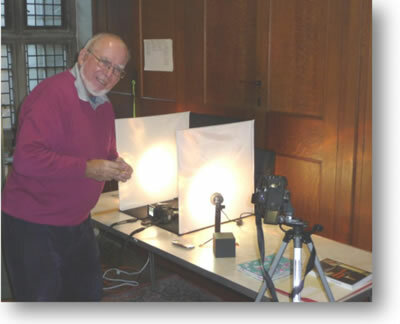 Chris Greening (above), who recently joined the Church Recording photographic team, is seen here doing some highly technical recording.